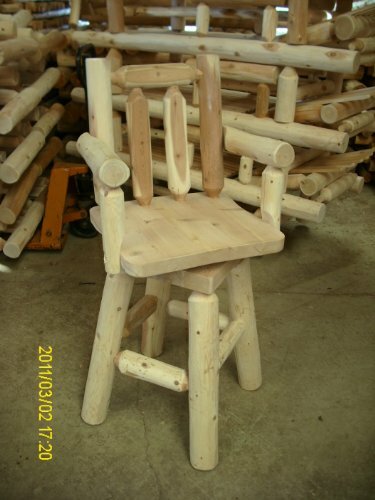 White Cedar Log Bar Stool with Arms: Cheers! This finely crafted bar stool is a excellent addition to the bar or kitchen counter. Swivel seat motion makes it possible for for effortless access and usability. Sturdy cedar log building guarantees durability for years! 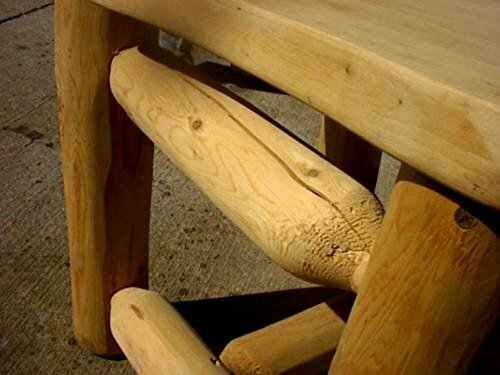 The utilizes for this cedar stool are endless. Complete Dimension: 49\" higher, 22\" front to back. Seat Dimensions: 31\" substantial, 19\" wide, 19\" seat depth, 19\" seat back height. -Proudly made in the USA! Finely crafted by the Western Pennsylvania Amish. -Naturally resistant to decay, insect and weather damage. Rust-resistant steel hardware. 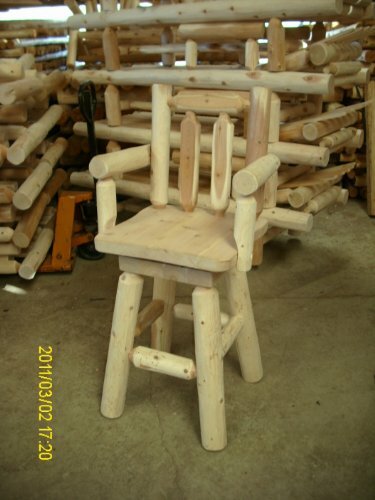 -Sturdy cedar log construction with reliable mortise and tenon joinery. -Lovely naturally unfinished! -No assembly essential. -Has Arms. -Swivel Seat! -Custom Made to Order: Enable 5 days for building prior to shipping NOTE: The final photos exhibits how cedar log furniture can and very likely will examine.. checking is when the logs dry out and get some extended cracks in them this is all-natural and has nothing at all to do with the structural integrity of the piece! With swivel seat motion and generous arm rests, this White Cedar Log Bar Stool with Arms provides comfort and easy access! White Cedar - Naturally resistant to decay, insect and weather damage. Rust-resistant steel hardware. A wonderfull bar stool for inside the home or out!